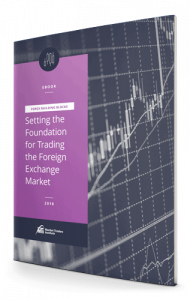 When starting to trade in the Forex market, it may be quite intimidating if you are unsure of the tools, terminology and format you see within it. Alongside learning the fundamentals of trading, you can also better your knowledge with these tips to save you money — finding that safety net when trading. Trading in the Forex market already is a game that you may not know will go in your favor, despite your knowledge and skills. Trading also can be something that goes against your gut, at the drop of a dime. When starting to trade, these steps can help lend comfort and teach the true essentials to safety in the market. This is a skillset you will find essential to your trading career. It is even listed by some as the No. 1 focus you should pay mind to when trading, no matter your level of expertise. Money management is the awareness of how much funding you have within your account to enable the ability to trade further positions. So for example: You could have a number of trades open, and let’s say they reverse and end up going negative. This would induce your account going into a negative balance if you closed the trades and took those losses. Money management will ensure you don’t bite off more than you can chew within trading — so it may reject trades to maintain your balance in a way that it doesn’t go past zero if trades do plummet in the opposite direction. One of the big factors many traders undergo is the emotional attachment to their funding. The market has a way of doing what it wants no matter the amount of analysis you do, because there are so many moving parts such as global events that can really cause some to panic and close out a trade when it goes the opposite direction. Losing can be very discouraging and sometimes make you feel maybe trading isn’t all you wished it to be — but be patient. Trading has its way of turning around, although it can sometimes take days, weeks, or months in order to do so. You might find it easier to place trades, stops and limits, and let them carry out as they should. Consider having a few open so that when a Take Profit is reached it will take the profit and allow opening another. Trust in your trade and do not fear for loss, as it is natural — try setting a small lot size as well for small losses, such as 0.01 or better, known as a micro lot. A simple and effective tactic that can save you on numerous books is simply using trading communities online. 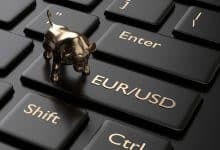 Talking to others who all vary in levels and trading strategies can really open your mind to the way that others might tackle certain trading parameters, as well as their input on what direction to go within some currency pairs. You can find many helpful pages online that obtain good information for those who are trying to adjust to trading. Look for online articles and chat forums, as well as many active pages on Facebook that can really help you connect with others. Then take notes of things you had not known were able to be done within the Forex market! Also, great educational resources such as Market Traders Institute can guide you along the way with content, classes, and live webinar sessions for analysis. At the end of the day, even the ones who are highly skilled had to start somewhere. So never feel discouraged as trading is a journey and an investment in yourself. There will be moments you have hiccups, but know they are something to learn from. And one of the biggest things you can do for yourself within growing as a trader is taking note of the milestones you make, the steps you took to get there, and the ability to protect yourself even when you are well beyond your starting point.